Don’t let a water leak spell disaster for your campus. Between budget cuts and shrinking endowments, colleges and universities across the country are struggling to keep up with their surging maintenance bills. As reported by The Wall Street Journal, U.S. universities have a collective deferred maintenance backlog that could top $40 billion, by some estimates, and the problem is only getting worse. The problem is made even more complicated by the fact that donors are much more likely to support flashy projects like a new building or facility rather than fixes to the plumbing. And at some schools things have gotten so dire that they’ve had to resort to makeshift fixes, such as using bricks to hold down roofing membrane or laying down a tarp to catch leaking water. Here at C&W Services, we support our customers in solving these problems. 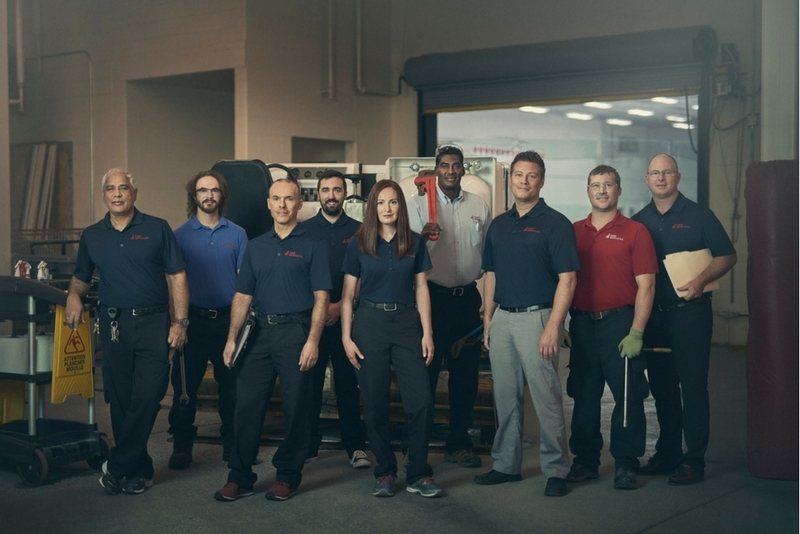 We’re an industry leader in preventative and predictive maintenance and—through effective day-to-day service; the implementation of new, innovative technology; and an overarching strategy of vertical integration that drives a total quality experience—we can minimize the high costs of emergency repairs and equipment replacement. We are the only self-performing full-service facilities company with strong ties to commercial real estate by way of Cushman & Wakefield, our sister company. Our deep roots in the educational space, together with the backing of Cushman & Wakefield’s education practice group, can further support complex capital planning and strategies. We work with over 600 clients across North America, and we’re confident that we can help your college or university lower its maintenance costs. We understand the unique needs of our educational clients by helping to deliver beautiful, efficient, and safe campus environments. Building Automation Systems ? We’re experts in maximizing the value of existing buildings and incorporating new, innovative technologies so campuses can run as efficiently as possible. Emergency Response ? We respond quickly and work around the clock to make sure that your facilities are fully restored after flooding, power outages, and other disasters. Fire and Life Safety ? We closely monitor and repair all fire and line safety systems. HVAC ? We make sure that your heating, ventilation, and air conditioning systems are all operating at peak performance levels. Locksmith and Badging ? We manage the installation and maintenance of mechanical locks as well as various forms of electronic access systems. Plumbing, Electrical, and Carpentry ? Our dedicated team takes care of PEC tasks, either by applying our own expertise or managing third-party service providers. Painting and Masonry ? We specialize in walls, ceilings, and other surfaces, and can manage painting and masonry repair projects as needed. Learn more about how C&W Services can lower your college or university’s maintenance costs. Connect with a team member for more information.